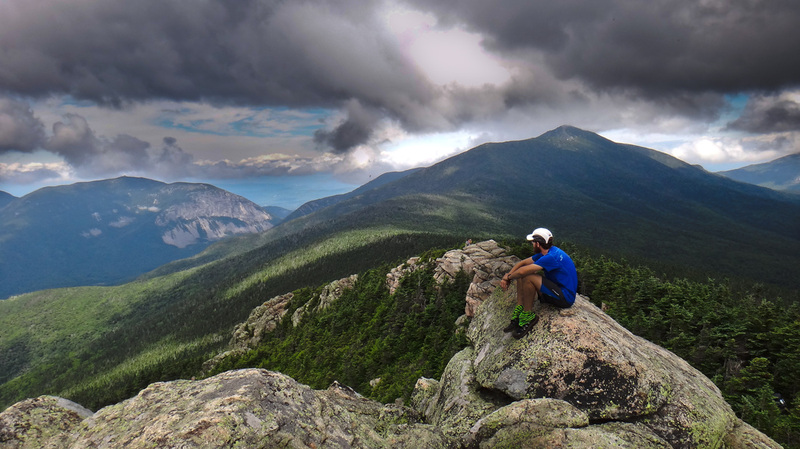 new hampshire: The costly crown jewel of an appalachian trail thru-hike. Looking back toward the Kinsman Range, Canon Mt., and the Franconia Range on a beautiful day in the mountains. 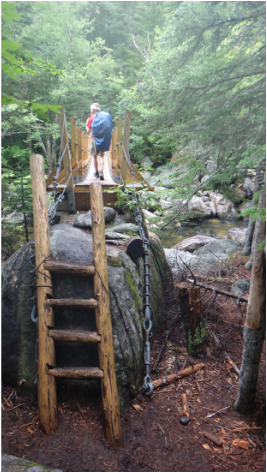 New Hampshire makes you work, sweat and sometimes bleed for every step it allows you to take along its magnificent trails. What makes it great, is that it is worth every step. 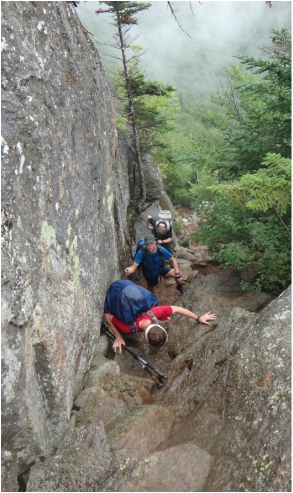 A hiking challenge unlike any other on the East coast, the physical demands of the steepness, the unpredictable weather, and epic views make this the most unforgettable state on this incredible hike. The saying, "no pain, no rain, no Maine" really speaks true when you're in these mountains. Fog over the ridgeline Cairns that guide you along the trail. Having spent the last 12 states physically preparing for this challenge, it was still epic in its difficulty. Some hikers swore they would never hike New Hampshire again. I had the opposite reaction and swore I'd have to hike it again. Cramping quadriceps, sore knees, and bruised feet were just some of the trade-offs I was gladly willing to make to experience this great state. 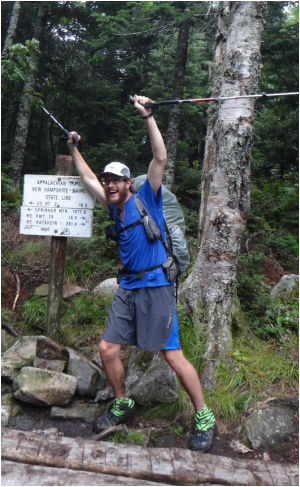 161 miles of the thru-hike slowly wound through the New Hampshire mountains. 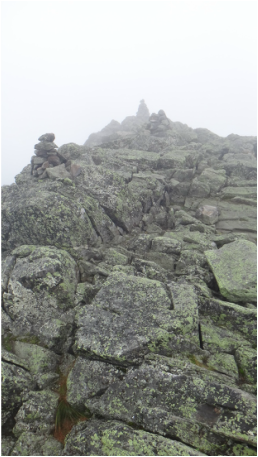 Most of it, almost the whole 116 mile White Mountain section, would be at or above treeline. Being above treeline brings a whole new experience with both the weather, and the views. If you can survive the weather, you'll come back to see the views again and again. Sometimes it requires more than just a hop-skip-and-a-jump to make it across a river. The stairs are perfectly spaced out for climbing...if you happen to be a giant. For the mere mortals among us, they are huge and ungainly if nothing else. I've finally done it! I've reached the much talked about, often dreamed about, and sometimes worried about great state of Maine! Final stop, Katahdin!